From the acclaimed author of Corelli’s Mandolin: a powerfully evocative and emotional novel, set in the years between the two World Wars, about a closely-knit group of British men and women struggling to cope with the world—and the selves—left to them in the wake of World War I. They were inseparable childhood friends. Some were lost to the war. The others’ lives were unimaginably upended, and now, postwar, they’ve scattered: to Ceylon and India, France and Germany (and, inevitably, back to Britain)—each of them trying to answer the question that fuels this sweeping novel: “If you have been embroiled in a war… what were you supposed to do with so much life unexpectedly left over?” As the narrative unfolds in brief, dramatic chapters we follow the old friends as their paths re-cross or their ties fray, as they test loyalties and love, face survivor’s grief and guilt, adjust in profound and quotidian ways to this newest modern world. And at their center: Daniel (an RAF flying ace) and Rosie (a war-time nurse), their marriage slowly revealed to be built on lies, Daniel finding solace—and, sometimes, family—with other women, Rosie drawing her religion around herself like a carapace. Here too are Rosie’s sisters—a “bohemian,” a minister’s wife, and a spinster; Daniel’s despairing brother; Rosie’s “increasingly peculiar” mother and her genial, secretive father. And as peace once more gives way to war, we see it begin to reshape, yet again, the lives of these beautifully drawn women and men. 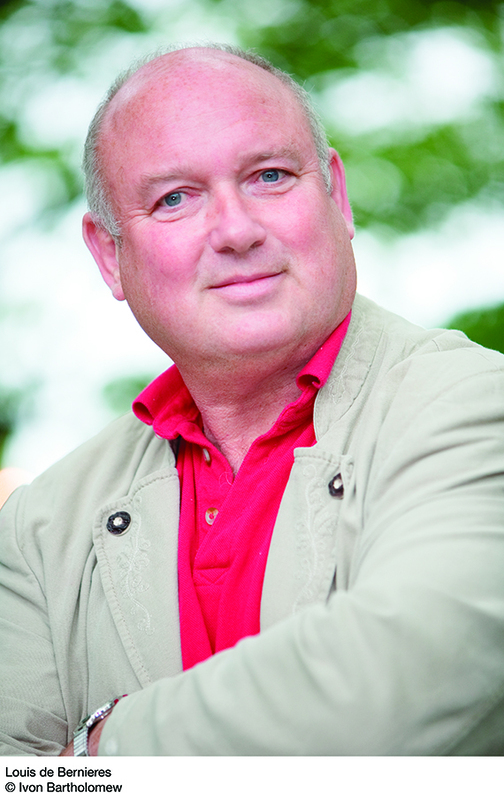 Louis De Bernières is also the author of A Partisan’s Daughter, Birds Without Wings, Red Dog, Sunday Morning at the Centre of the World, Corelli’s Mandolin (Commonwealth Writers’ Prize, Best Book, 1995), The Troublesome Offspring of Cardinal Guzman, Señor Vivo and the Coca Lord (Commonwealth Writers’ Prize, Best Book, Eurasia Region, 1992), The War of Don Emmanuel’s Nether Parts (Commonwealth Writers’ Prize, Best Book, Eurasia Region, 1991), and The Dust That Falls from Dreams. He was selected by Granta as one of the twenty Best of Young British Novelists in 1993. Daniel Pitt and Hugh Bassett suffered from the accidie of not being at war. Even in a land as beautiful and surprising as Ceylon, they missed the extremes of experience that had made them feel intensely alive during the Great War, in spite of its penumbra of death. Neither of them missed the killing, and if they went out after duck or small game, they never returned with more than their families could eat. They had both, many times, seen the way in which the light suddenly goes out of a man’s eyes as he passes out of the world, and it was just the same with an animal. There was no longer any triumph in the kill, the guilt was as intense as it had ever been, but still they yearned for the passionate oblivion of the hunt. There is a kind of man who, having been at war, finds peacetime intolerable, because he cannot develop the civilian’s talent for becoming obsessed with irrelevant details and procedures. He hates the delays and haverings, the tedious diplomacy, the terrible lack of energy and discipline, and, above all, he hates the feeling that what he is doing is not important. If you have struggled for the freedom of France, or have fought to keep Zeppelins out of the skies over London, what else can seem important thereafter? Daniel and Hugh were fortunate to be involved in the manufacture of tea, because everything in that industry depends upon good timing and good teamwork, and strictly understood hierarchies of responsibility. Daniel loved the huge and beautiful machinery in the factory, and could not resist rolling up his sleeves and helping the Singhalese engineers when it broke down. Machinery was so much easier to deal with than people. There was always a precise set of reasons why a machine may not be working, and there were always completely logical solutions. People were slippery and elusive, changeable and moody. You thought you understood them and then found out that you did not. You thought they loved you, and then they suddenly turned spiteful or indifferent. Daniel enjoyed the sheer reasonableness of the machinery, but he also enjoyed the brotherhood of mechanics, and he reflected quite often that he had more in common, and more enjoyment, with the engineers than he did with those British people who congregated at the club. He had picked up some Singhalese, in addition to the Tamil of the tea workers, and was finding that the more languages you know, the better you understand your own. He realised that languages divide the world up differently from each other. He was half French, and had often wondered why it was that his French personality was different from his British one. In French he was more emphatic and rhetorical. Somebody had told him once that in Russian there was no word for blue. There was bound to be a word for pushrod, or tappet, though. It was very fortunate for him that he had the company of Hugh Bassett, who had spent his war flying Sopwith triplanes and Camels over France, in the Royal Naval Air Service. The RNAS had been operating out of airfields alongside the Royal Flying Corps, and they had an inexhaustible amount to talk about, to mull over, to repeat. Both had binged beyond the borders of sanity, knew the same jokes and ribald songs, had overflown the same strip of desolation month after month; fought the same battle to keep flying sickness disorder at bay, to remain optimistic, to perform over and over again the impossible trick of trampling their own fear underfoot every time they sprinted to the cockpit. Daniel wondered if he had ever been truly courageous at all, but had rather been seduced by the wondrous beauty and excitement of flying, consoled by the airman’s simple fatalism. If today’s the day, then today’s the day. Goodbye, world, it was good to know you. All I ask is to die a clean death, one that’s not by burning. But now he and Hugh, and the rest of those who had survived, had so much life left over that it was sometimes hard to cope with. Some became drunks; others fell quiet and imprisoned themselves inside themselves; some foresaw a brave new world and strode out towards it; others returned to what they had been before, and turned the war into the memory of an outrageous dream from which they had at last awoken. Most were as proud of what they had done as they were amazed to be yet alive. 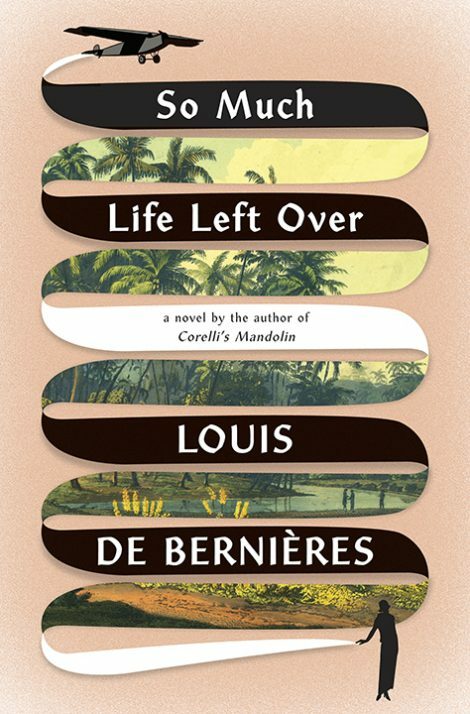 Excerpted from So Much Life Left Over by Louis de Bernières. Copyright © 2018 by Louis de Bernières. All rights reserved. No part of this excerpt may be reproduced or reprinted without permission in writing from the publisher.